Sally Garner is an undergraduate academic adviser. As Director of Student Services, she serves as the lead academic adviser and coordinates journalism advising for IntroDUCKtion, Week of Welcome, Duck Days and Duck Preview. She also advises prospective, incoming and current undergraduate journalism students. A former international transfer student from Malaysia, Sally graduated from the school in 1998 with a degree in News/Editorial. 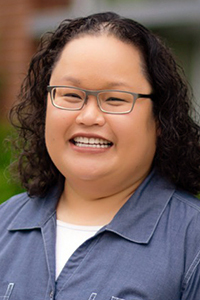 She has taught the journalism transfer seminar, served on the school’s Diversity Committee and currently serves on the school’s Undergraduate Affairs Committee.